Bill Weed -- 1959 Stanguellini F-Jr. / Bruce John -- 1960 Huffaker-BMC F-Jr.
Three classic front engined F-Jrs brake for the corkscrew. #7 Weed was a non starter in his 1089cc. 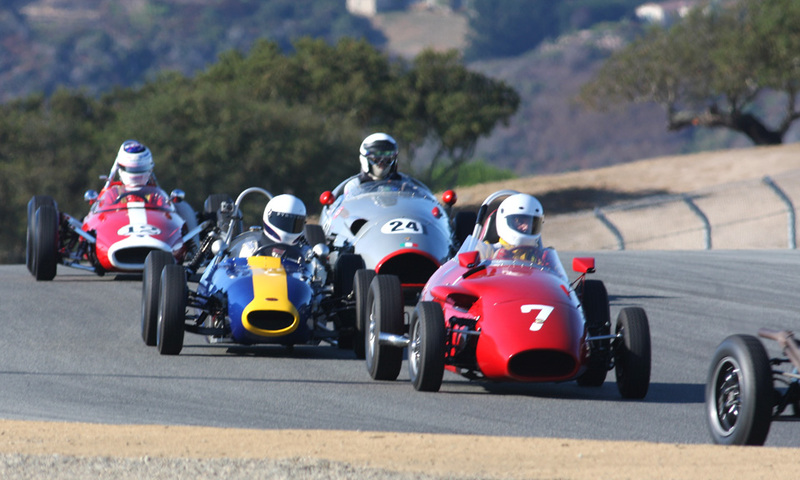 Stanguellini; John finished 20th in his Joe Huffaker built ex-Dave Ridenour 1098cc. car. #24 is 21st place finisher Tupper Robinson in his 1089cc. 1958 Bandini F-Jr.
Back to: Robert Stoker -- 1962 Lotus Mk.22 / ????? -- ???? ?